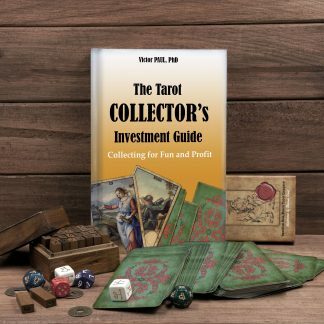 This guide gives you knowledge of the cards collection economy, and develops your skills of collection management to build a valuable collection according to your preferences and budget. 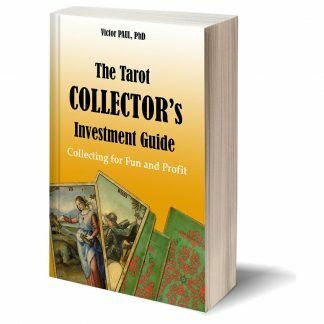 Tap into the guide to start growing your social and financial capital! 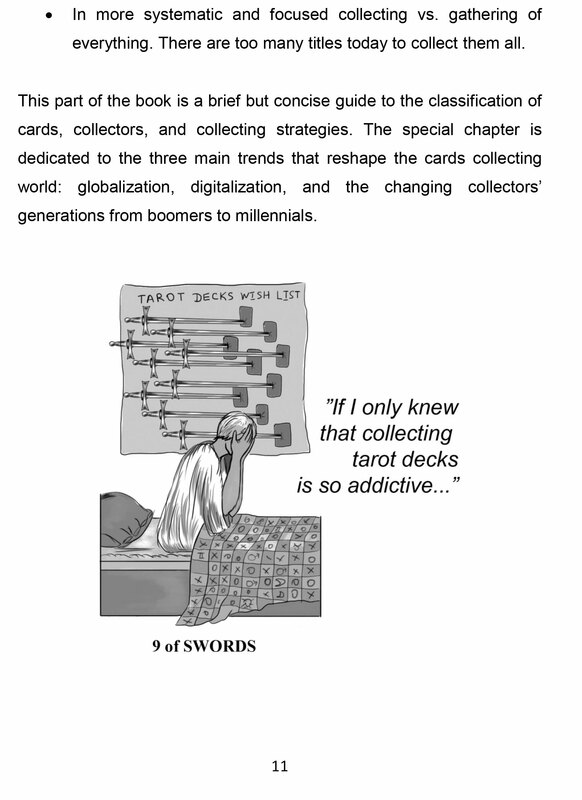 Have you ever searched through bookcases stuffed with hundreds of decks, thinking about how to fix up your collection? You’ve come to the right place: this book shows how easily you can make an inventory list of your collection. Do you think that your card collection is valuable, but you’re not sure how much it costs? 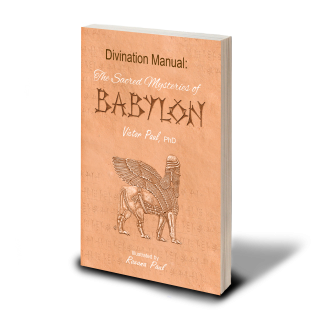 Throughout this book, you’ll discover real cards’ values. Have you ever thought about sharing your knowledge of collecting with peers? 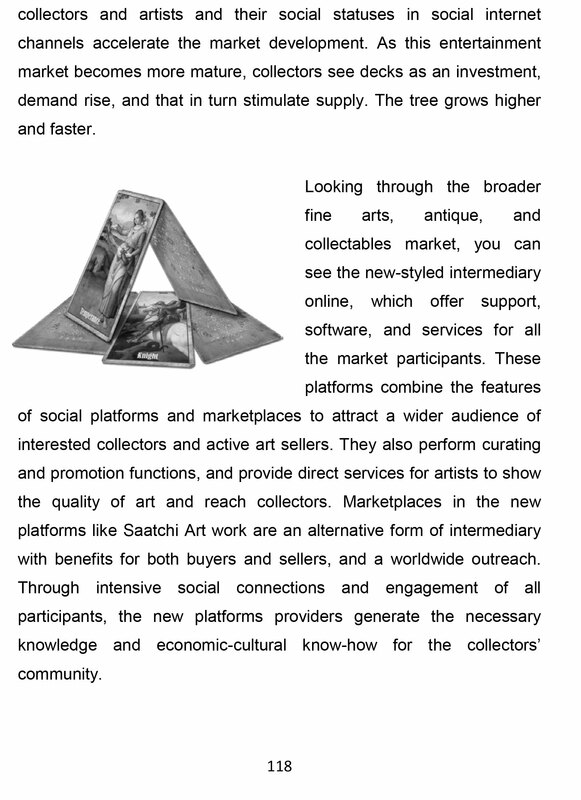 This book teaches how to collaborate within the online collectors’ community to grow social and financial capital. “The Tarot Collector’s Investment Guide” is the result of the comprehensive study at the intersection of Tarot collecting and investment management. 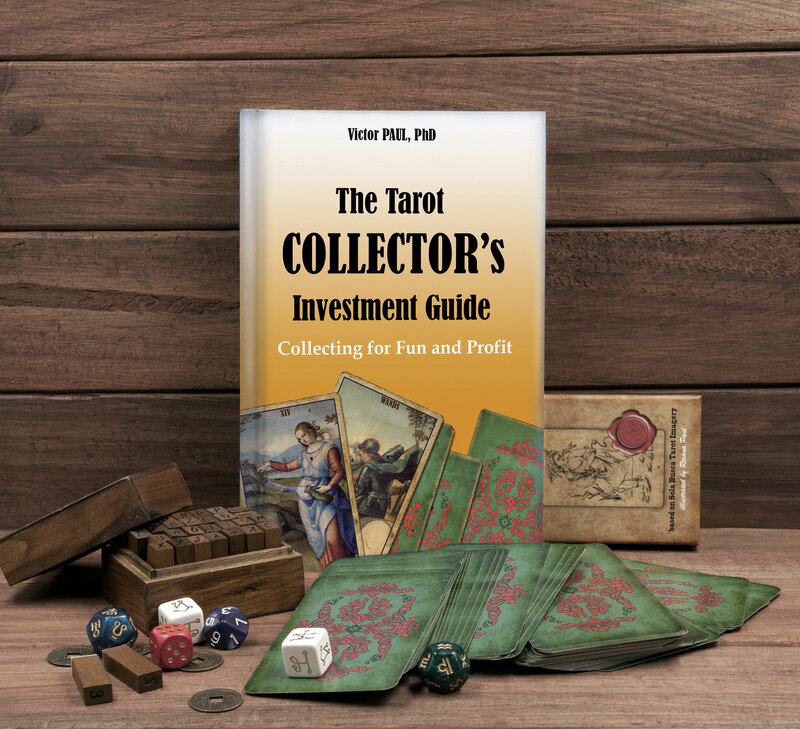 As an economist and investment adviser, an author investigated how collectors can turn their hobby into a profitable business? 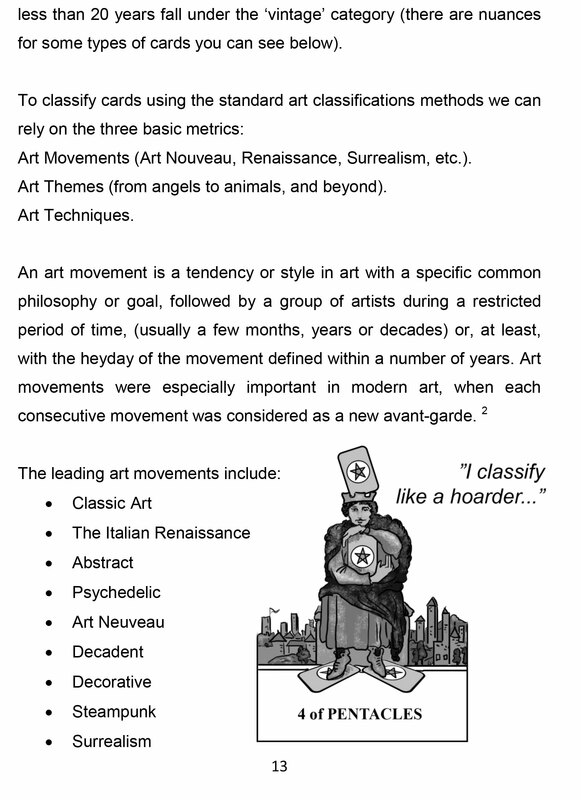 As a Tarot lover and collector, the author has studied how the quality of artwork in cards creates a masterpiece to attract knowledgeable collectors. In this way, the book bridges fun and profit in card collecting. 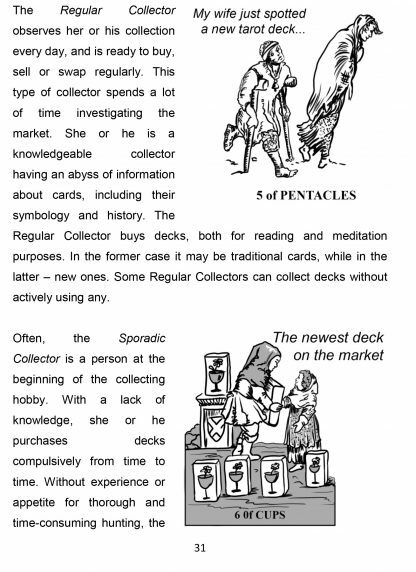 Chapter 2 What Kind of a Collector Are You?